Skateboarding to the elderly is usually seen as a toy and something of little importance but for most of the youths nowadays, skateboarding is more than just an instrument for transportation, it is a whole culture. One thing people don’t realize is that culture can start from the most unexpected places and skateboarding is one of them. Still a bit confused? Well, hopefully after this article you’d be able to get a better understanding of what skate culture is in general. Back in the day when surfboards were still a huge thing, the culture was really rich. A lot of people inspired with the “locals only” type of mentality would parade their beaches and surf. Most of these people were in their youths and surfing was really popular back then. Slowly, surfing started to progress. People started to get involved and there was a sudden trend of skateboards. Smaller surfboards on wheels you could ride anywhere around town. Well, this was really shocking to the surfers at first but they were heavily curious about this new trend that they started to indulge themselves into skateboarding. Sooner than later, events started to sprout out. Skateboarding events. People started to see skateboarding as something of great importance and should be recognized as a sport. People were ecstatic about this trend and everyone seemed to want to join this culture. Back in the 1970s, skateboarding was about peace and having fun but as skateboarding started to industrialize, people started to realize that there’s a great amount of money in skateboarding and this is when skateboarding started to evolve. Sadly, as what happens to anything when it reaches it’s peak of popularity, it started to decline. People everywhere were using skateboards which made others tired of seeing it and this is when a huge chunk of people in the skateboarding culture started to leave. This is when the skateboarding culture started to gain a reputation underground as part of an urban lifestyle culture. Skateboarding is now infused with music and fashion as it has touched different forms of art beyond their own grasp. Back in the 1960s, Singapore wasn’t strongly influenced by western media because of the lack of television and other media outlets. 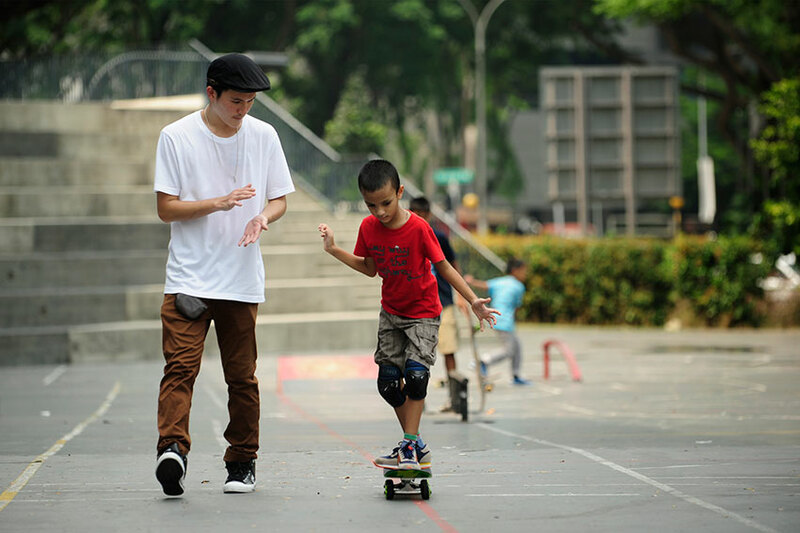 During the 1980s and 1990s, people started to get educated about western skateboarding culture and this is when smaller groups of kids in Singapore would pick up this trend and start to skate around their local basketball court or even the Singapore skate park. Skating is influenced with a lot of ideas. Ideas of freedom, ideas of expression, ideas of living. Skating is more than just a board, it is a lifestyle. Cardiac Arrest vs. Heart Attack: What’s the Difference?